The bar's design concept follows the industrial style with the exposed steel framework. Raw construction materials such as ductwork, concrete panels, and columns are unapologetically shown, which results in a gripping impression. This solution is not only cost effective but also meet the requirements regarding the unique rustic style. 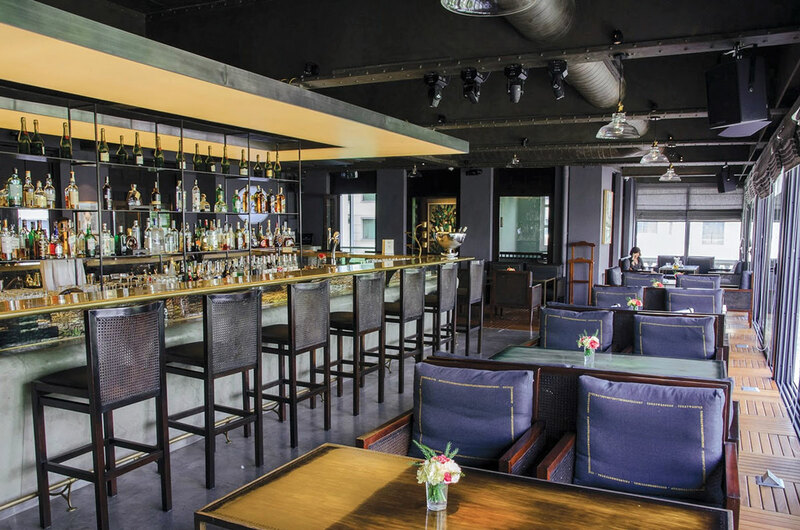 Located in Press Club Hanoi, one of the most distinguished business and culinary locations in Vietnam, the Plume Bar stands out as a charming getaway for working people. 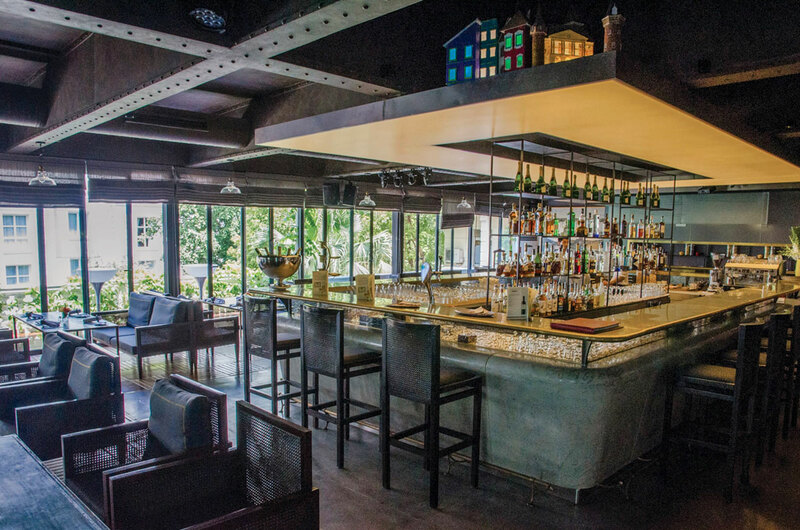 The bar's interior design is influenced by the famed Long Bien bridge, making its mark among other hot spots in Hanoi. 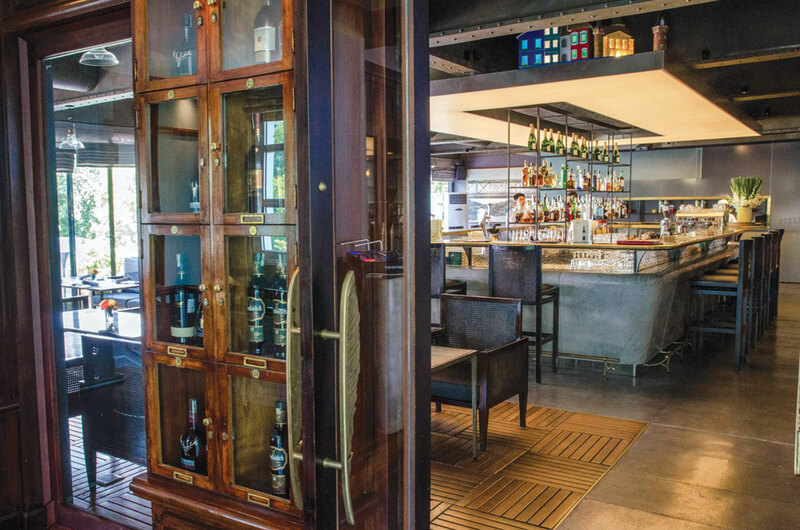 Located in Press Club Hanoi, one of the most distinguished business and culinary locations in Vietnam, La Plume Bar stands out as a charming getaway for working people. 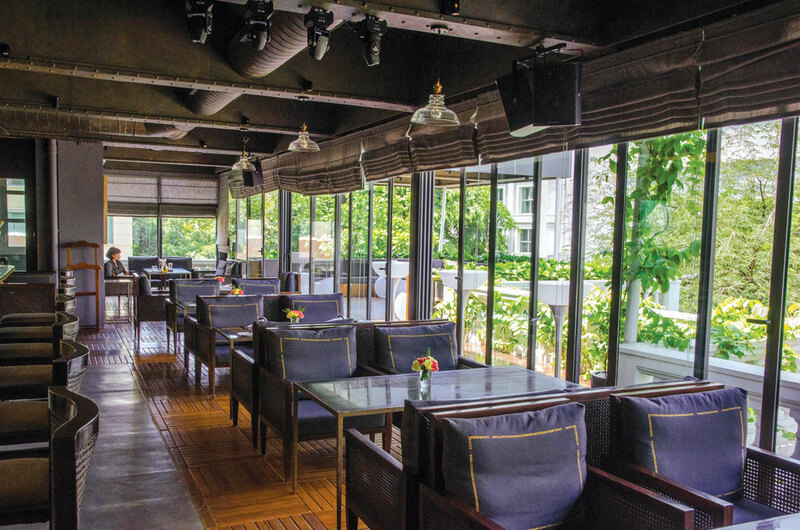 To take advantage of one of the best known venues in Vietnam, the place’s owner wanted to renovate it to a high-end bar. Home to writers and journalists since war time, the Press Club holds a special historical value. Addionally, the name La Plume of the bar itself means ‘a pen’ in French. This implies that the bar is a place to express oneself and to exchange information. The design concept follows the industrial style with the exposed steel framework. Raw construction materials such as ductwork, concrete panels, and columns are unapologetically shown, which results in a gripping impression. This solution is not only cost effective but also meet the requirements regarding the unique rustic style. Lying at the center is the island bar counter with the barisol lighting ceiling, polished concret panel and brass table top. Its head-turning design also serves as a product display, making it perfect for showcasing drink collections. The materials are combinations between conventional material which is wood and and the modern concrete for flooring. Astonishing décor that heavily resembles the legendary Long Biên bridge help create the elegant and somewhat historical mood, making La Plume’s mark among other hot spots in Hanoi. All the furniture are custom made, especially the lacquer table with the quotes printed on the surface, which is a great way to honors the art of handicraft. To wrap it up, the distinctive look of the Plume Bar is a great example of harmonious design and materials.